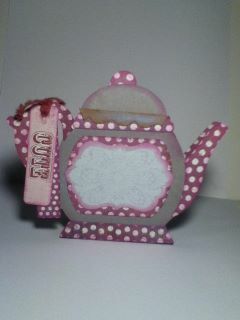 I made this little teapot gift box with a file I got at Creative Kuts 2 and used 29th Street Market paper! Soooooo Cute! These box's are for sale to anyone that lives Local!